Learn to make popular Steamed Besan Gatte Ki Sabzi Recipe Video | Rajasthani Adhar Bele Ki Sabji recipe with video instructions. is an authentic and delicately rich curry. 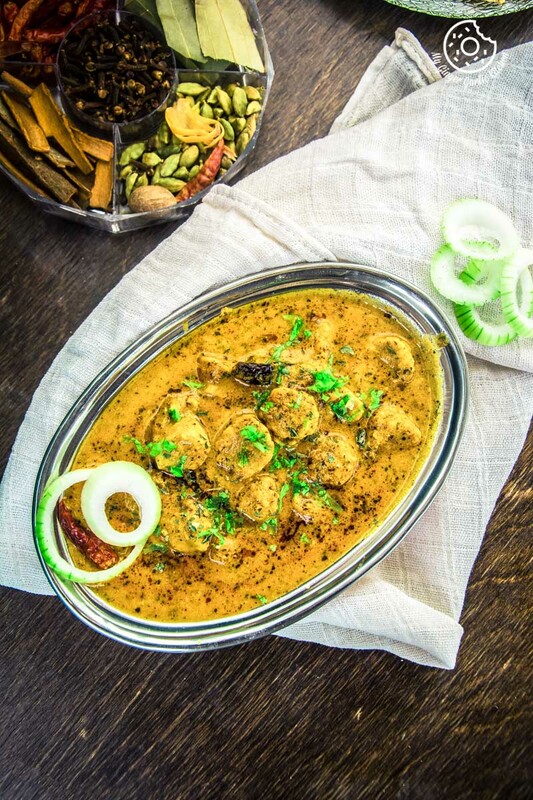 In this Rajasthani curry, chickpea flour dumplings are cooked in a spicy and tangy yogurt and tomato sauce. The best way to serve this curry is to serve with some hot puri, lachha paratha, hot chapati, or even rice. Learn below how to make this easy and exotic side dish with step by step video tutorial. Rajasthan is the land of Rajputanas aka royals, thus Rajasthani food has to feel rich and royal. This Royal delicacy is a must in Rajasthani thali (platter). 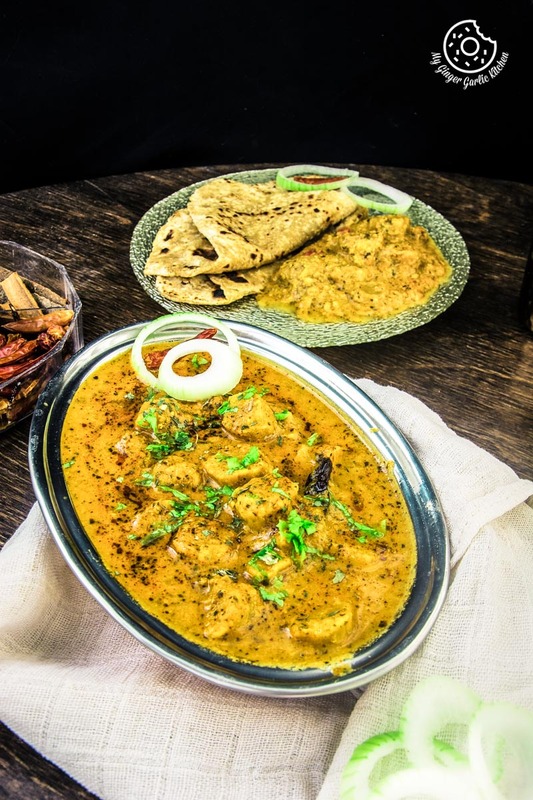 In Rajasthan, this besan Gatta curry is also known as bele ki sabji. There are mainly 3 ways of making this sensational ‘Besan Gatte Ki Sabji’. 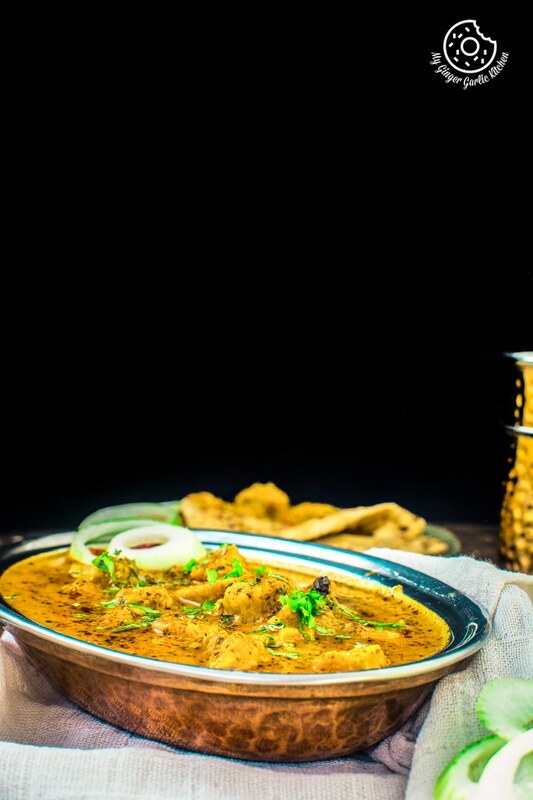 Boiled Besan gatte ki Sabji: Here gattas are boiled first and then dunked in the yogurt based spicy gravy. Gatte ki Sukhi Sabji: In this dish, Gattas are stir-fried with onions, garlic, and a few spices. Steamed Besan Gatte ki Sabzi: In this gravy dish, gattas are first steamed and then cooked in the tangy and spicy tomato and yogurt based gravy. Being a native Rajasthani I just can’t help but adore this Besan Gatte Ki Sabzi. I am always up for any kind of this Gatta Curry. Whenever I hear this word Gatta Curry I just can’t resist. But I always try to make this curry during weekends, that way I am more relaxed and can give all my love and time to the process of cooking. And also the thing is that the family can enjoy this sensational curry together. I believe nostalgic meals are meant to be enjoyed during the weekends — somehow eating them during weekends makes these meals even more special. Well, that certainly doesn’t mean that you can’t have this during weekdays, in fact, you can have this anytime of the day. It’s just that eating those rich dishes during weekends is my personal preference. I won’t say that making this curry is a quick job. But I will surely say that all your efforts are worth it. 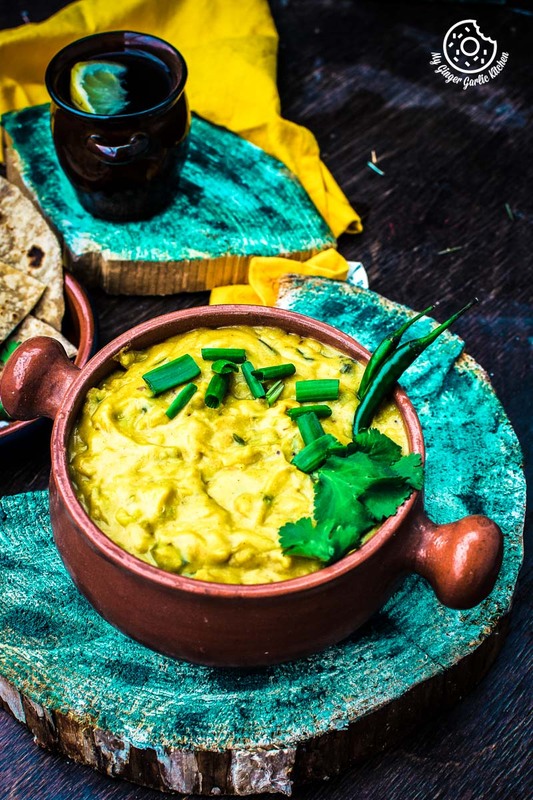 A bite of garlic naan dunked in this curry and you are all set to go to a fairyland. 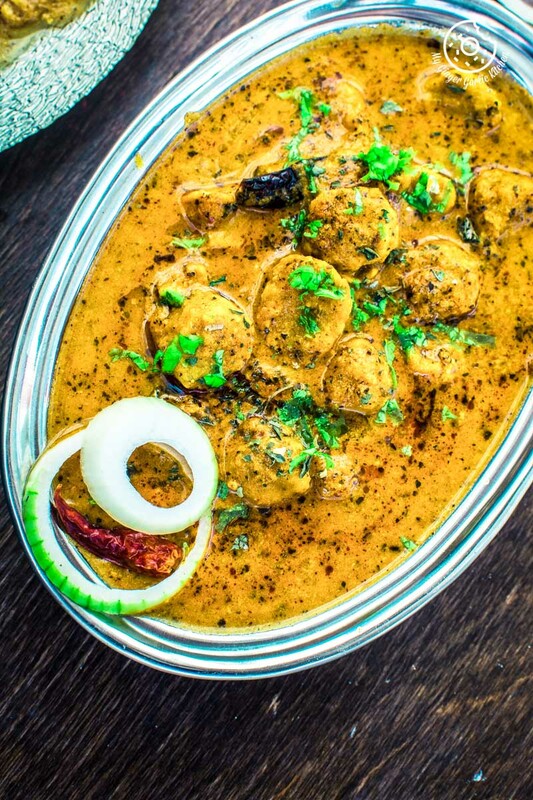 This gala of aromatic and spicy of flavors in this curry would surely please you. I made this curry slightly hotter — the way it’s authentically prepared. But you can surely reduce the amount of heat to make it suitable for your taste buds. 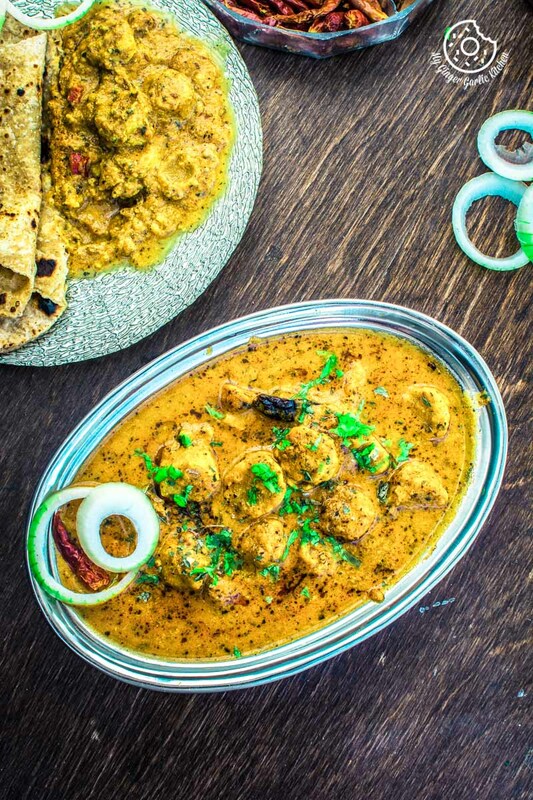 Hot or not so hot, this curry would surely steal the show at your dinner table. 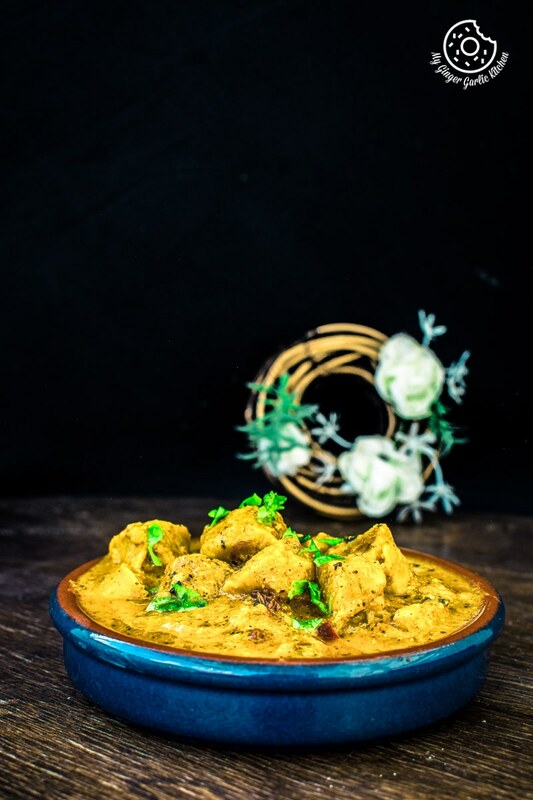 If you will make this hearty curry for your guests, it will surely be an extravaganza of pungent flavors which they will love. They will never forget the taste of this exotic curry. It’s always a crowd pleaser. Making this Steamed Besan Gatte Ki Sabzi is not all that complicated as it may seem. But I totally understand when people say that making gattas is tricky for them. So if you think your gattas don’t turn soft and not melt-in-mouth type, then I have some simple yet helpful tips for you. First of all, let me reassure you that making them is not rocket science. What is this Steamed Besan Gatte Ki Sabzi or Gatta Curry? Steamed Besan Gatte Ki Sabzi is a delicacy of the Indian state of Rajasthan. In the present times, this dish has surely made its own place almost everywhere in India. In this version of curry, chickpea flour dumplings are steamed cooked in a spicy and tangy yogurt sauce. These Gattas are so light. That’s why in Rajasthan they are known as ‘adhar bele ki sabji’. Adhar means light and delicate, bele means dumplings and sabji means curry. So the literal translation of this hearty and homey curry is delicately steamed dumpling curry. For this steamed version you knead to make stiff dough almost like you make for puris. Then roll them into thin hot dog like cylinders. After that steam them for 20 minutes. Later on, they are cut into about ½” pieces and added to the spicy tomato yogurt gravy. 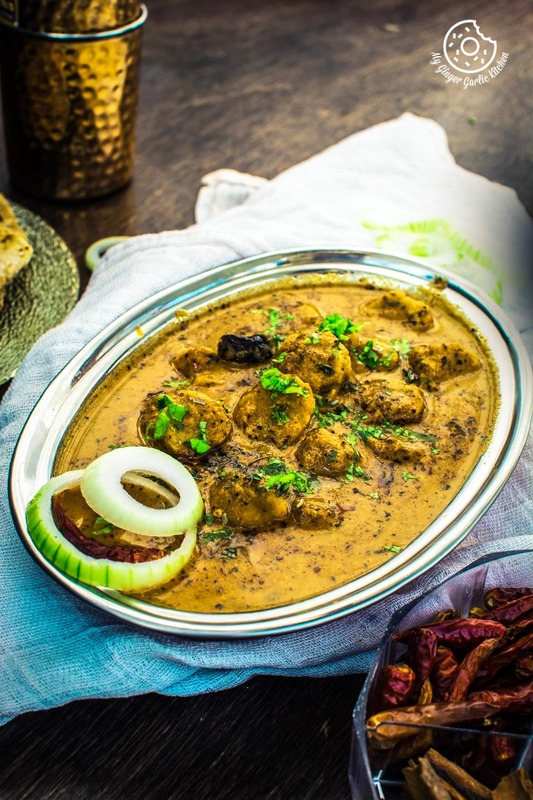 You can also make this curry with this traditional Rajasthani delicacy Dal Baati Churma. Add the good amount of oil to the dough to ensure that your gattas would come out soft. Steaming time does matter when it comes to perfectly cooked gattas, so steam them for at least 20 minutes. You should boil Gattas in gravy for at least 7-8 minutes so that gattas will soak the gravy. If you want to make these steamed gattas ahead of time then add them to the hot water for 2-3 minutes before adding to the gravy. If your gattas usually come out hard, then you can also try adding little more oil and little bit more yogurt. This way they will come out softer. I don’t add baking soda in these gattas, but if you wish you can add 1⁄4 tsp baking soda to the dough. Rajasthani Besan Ke Cheele Ka Raita. 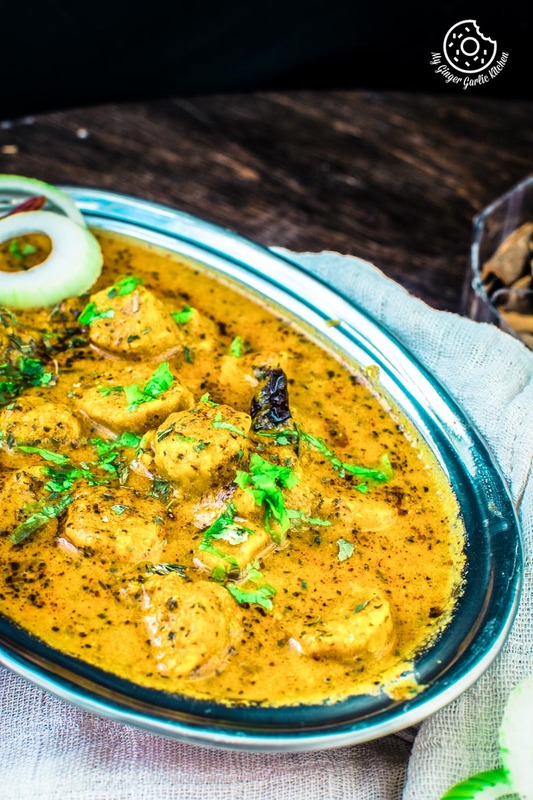 Steamed Besan Gatte Ki Sabzi Recipe Video| Rajasthani Adhar Bele Ki Sabji is an authentic and delicately rich curry. In this Rajasthani curry, chickpea flour dumplings are cooked in a spicy and tangy yogurt and tomato sauce. 1. Take a large mixing bowl. 3. Add 2 tbsp of yogurt and mix well again. 4. Add little water and knead into a stiff dough. 5. Divide the dough into 4-6 equal portions and shape each portion into 10 inches long thin cylindrical roll. 6. Boil enough water in a steamer or a pan. 8. Place the steaming basket over the steamer or pan and steam on medium-high heat for about 20 minutes. 10. Cut each cylinder into 10-12 pieces, and keep aside. 1. Heat 3 tbsp oil in a pan over medium heat. 2. Add asafetida and cumin seeds, cloves, bay leaf, dried red chilies and cloves to it. 3. When they begin to crackle, add the red chili powder, coriander powder, and turmeric powder to it. 4. Stir well and cook spices for a minute. 5. Add ginger-garlic paste and sauté for 2 minutes. 6. Add onion paste and saute until they are light brown in color. 7. Add tomato puree and mix well. 8. Cook for another 5 minutes. 9. Add chopped chilies and cook for another minute. 10. Now lower the heat and slowly add the whisked curd. 11. Stir well and stir continuously till it comes to a boil. 12. Once you see the oil coming up to the surface add the garam masala powder, 1 tsp Kasuri methi, and 3/4 tsp deggi mirch powder. 13. Mix well and cook for 2 minutes. 14. Add 1/2 cup water and stir well and boil for 3 minutes. 15. Add salt and mix well. Cook for 2 more minutes. 16. Add the cut gatta pieces and mix well. 17. Cover the lid and now let the curry cook on medium-low heat for 10-12 minutes for the flavors to concentrate. 19. Transfer the curry to a serving dish and garnish with chopped green chilies. 20. Serve hot with rice or flatbread as you prefer.